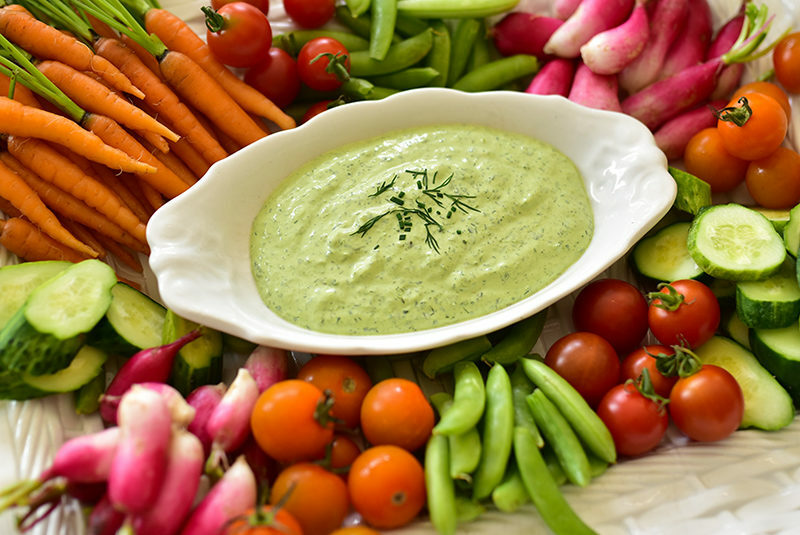 Labneh Green Goddess switches up the traditional mayo/buttermilk dip with labneh, which offers wonderful flavor and tang. And health! You can use any plain labneh or Greek yogurt with any level of fat content. 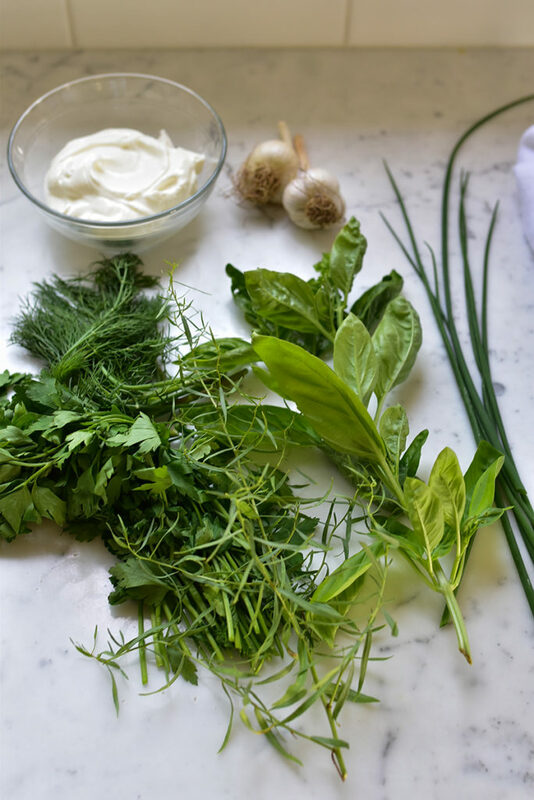 Use tons of herbs and make plenty so you can use your Labneh Green Goddess as a dip, a dressing, or topping for vegetables cooked any which way. It was the very first market of the season this summer when I ran into my friend Kathie, who is a fabulous cook and always full of good ideas for the asking. She inquired what I’d bought. I rifled through my new market bag (it’s straw, with navy pom poms) and handed her a snap pea while we discussed what we were going to do with our market spoils. She told me she’d be making her summer favorite, a Green Goddess with thick yogurt and a profusion of fresh herbs from her massive garden. With that, she would top any and all vegetables, raw and cooked, from that moment on throughout the summer. Me too, I thought, me too! Great idea! I love to use the herbs from the only kind of gardening I do: the herb garden on the side of the house, where we grow tons of basil, thyme, chives, tarragon (barely—it got too big too fast and then we split it and are trying to grow half; it’s hanging in there, kinda sorta). And of course, the mint, a big huge corner of mint. Here we are mid-August, and I’m viewing the Green Goddess goal the same way I have to view my book-reading goals: better later than never. I’m fascinated witnessing my niece’s experience as an 18-year-old discovering how fast time flies. Summer used to be long and lazy, she says, and now it’s gone in the blink of an eye! Is it true that time passes more quickly the older we get? 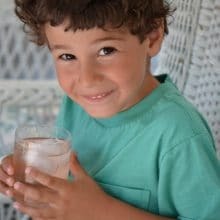 Or is it that we live in a part of the world, northern Michigan, where the softer season is so highly anticipated and so over-the-top in its glory of sun/lake/produce/soft breeze blessing that we gulp it down, thirsty after such a long, sustained dearth of it all (a.k.a. winter). We don’t really nibble and make our delicious cookie of a summer last as long as possible, no we do not. 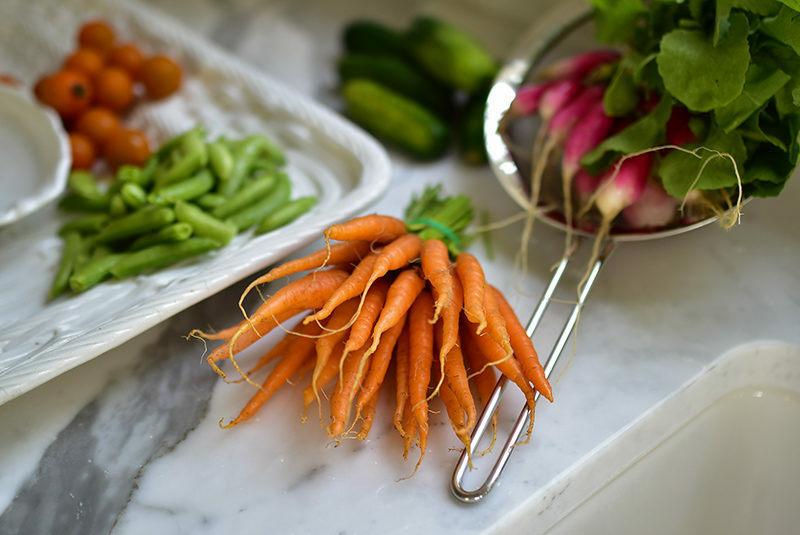 What’s comforting to me is that our pop of produce happens now, with the harvest of late summer. So just when we thought the season would drive away with the rest of our summer people up here, she actually is arriving in full splendor: peaches, blueberries, cucumbers, lettuces, radishes, carrots, beans, corn, tomatoes. And the herbs! What better way to coddle the flavors of every other vegetable and fruit than with our aromatic herbs. And what brilliant soul (in San Francisco, no surprise there) put a whole motherlode of herbs together with a creamy base, inventing the Green Goddess we are ever so happy to worship. 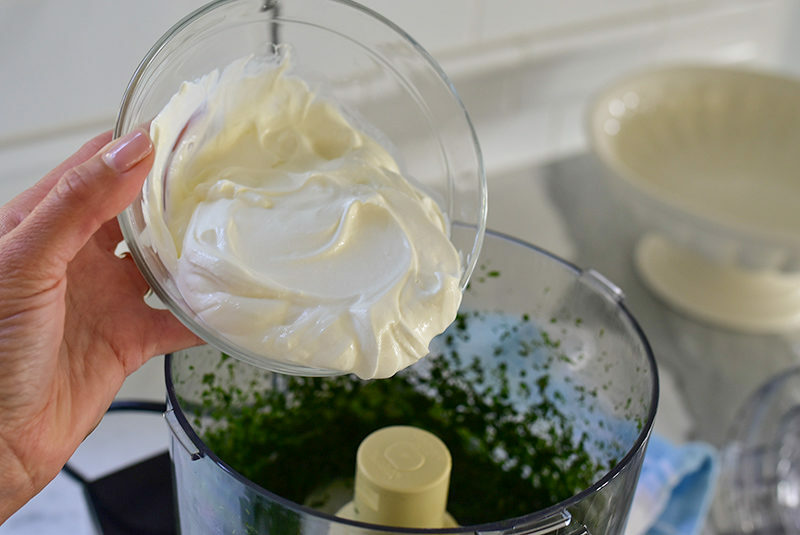 We’re taking the classic Green Goddess and doing as Kathie from the market instructed: change out the traditional mayo/sour cream/buttermilk with labneh, which has perfect tang, full flavor, and can be scaled to lower fat as desired. 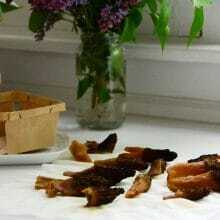 Anchovies are also traditional. Like flower waters, they’re meant to bring out and deepen flavor rather than stand out on their own here. Use them or not. 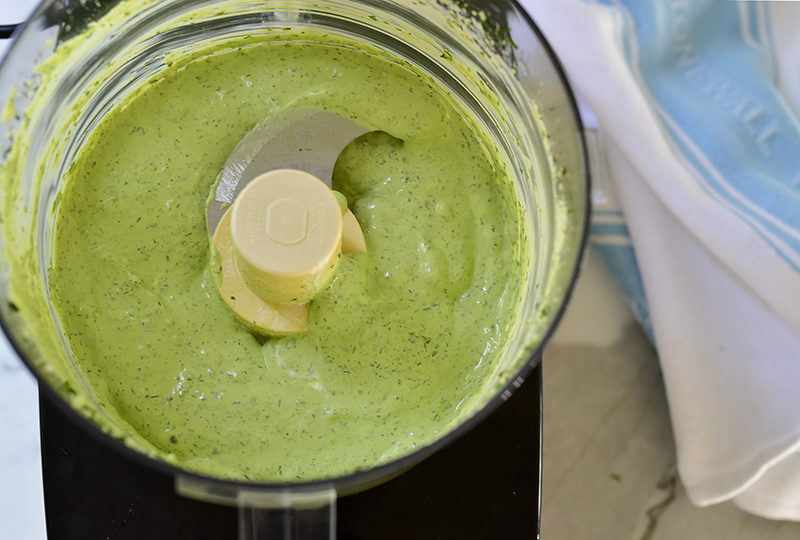 The main thing, as Kathie said when I passed by her again this week with more Green Goddess chat, is to make it GREEN, very green, with whatever herbs are handy (which reminds me of our green Fresh Mint Hummus). She was headed to her kitchen to roast her radishes and spoon the Green Goddess over that. Another tip, in addition to making your Labneh Green Goddess green: make A LOT. Keep it in the fridge at the ready for a good week or more, airtight. You’ll follow my recipe a little, but then the beauty is your own Labneh Green Goddess will take on a life of its own at your hands, using the herb-balance you like most or using any herbs you have at the ready. Labneh Green Goddess makes a wonderful dip for everything from crudité to French fries. Thin your Green Goddess with more lemon juice or a touch of cool water to make a salad dressing. Stir the lemon juice into the labneh. In a food processor, pulse all of the herbs until they are finely chopped. Stop and scrape down the bowl as you go. Add the salt, garlic, and anchovy paste and pulse to blend. Scrape the labneh into the herbs and puree, stopping to scrape the bowl, until everything is bright green and well-blended. Taste and adjust the seasonings to your taste. Chill the Green Goddess until you’re ready to use it. 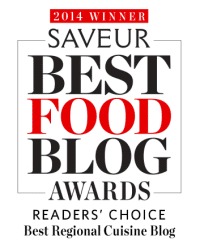 6 Responses to "Labneh Green Goddess"
Thank you for making this without mayonnaise! Labneh is perfect 😉 Your recipes are fantastic. 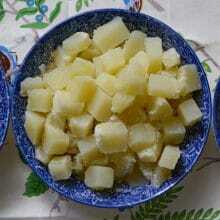 Hi–I don’t know that there is an Arabic name for this preparation. 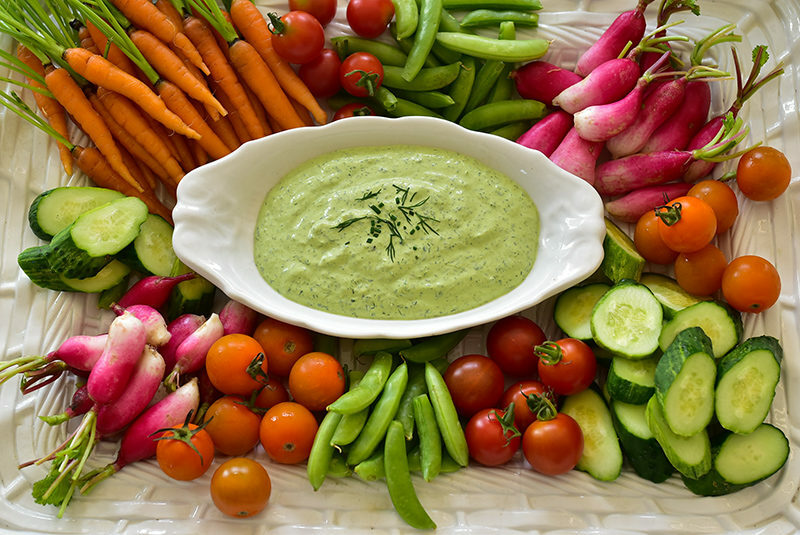 Green Goddess is a classic dressing/dip that was created in the U.S.
Hi What is the name of this recipe in Lebanese/Arabic language?! Thanks. I don’t know the Arabic for “Green Goddess”! But labneh is Arabic for the thickened strained yogurt. this recipe would be a “fusion” of American-Lebanese.